New mom and editor Samantha Ettus admits to having a "Type A" personality. She took childbirth classes in both the Lamaze and Bradley methods and says, "I don't think it was possible to prepare for childbirth more than my husband and I did." She wanted to be as ready for parenthood as she was for labor and boldly sought information from as many experts as possible, on topics ranging from SIDS prevention and sleep advice to how to handle teething and colic and saving for college. 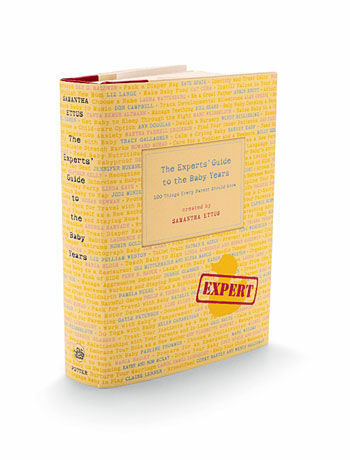 For The Experts' Guide to the Baby Years: 100 Things Every Parent Should Know, Ettus culled advice from such contributors as dermatologist-to-the-stars Howard Murad, M.D. (who discusses stretch-mark treatment) and pediatric guru William Sears, M.D. Handbag designer Kate Spade doles out tips for an organized, packed-to-perfection diaper bag: Leave out rattles, she writes, "They annoy the heck out of anyone within hearing distance." Liz Lange, founder of the eponymous maternity clothing line, offers guidelines for finding tummy-slimming fashions. Babyproofing, traveling with tots, nursing and play-date management--all these topics are covered here, nearly every one in the space of three pages.